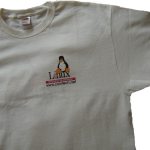 Model 1: Tux Logo + two line of text “Свободата да избираш” and “www.cointech.net” on the fron; big Tux logo on the back. 0.250 kg. Sizes: XL (1pcs) and L (1pcs). 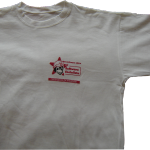 Price 5.5 EUR/t-shirt. Delivery 7 EUR worldwide. 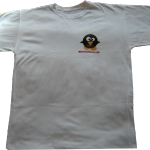 Model 2: Redstar penguin and the text “Del Software Libre al Software Socialista” and”Свободата да избираш” only the front. 0.150 kg. Sizes: 44-50. 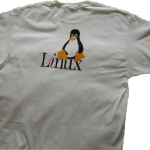 Price 4.5 EUR/t-shirt. 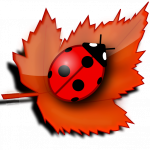 Delivery 6 EUR worldwide. Model 3: Fat penguin and the text “Свободата да избираш”. 0.150 kg. Sizes: 44-50. Price 4.5 EUR/t-shirt. Delivery 6 EUR worldwide.